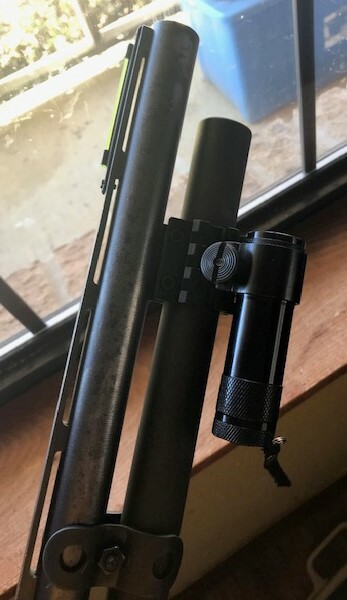 put some type of light mount on my old 870 Ranch gun. It has a set of Mag-pul furniture on it and they sell about half a dozen different mounts for "slots" made into it, in both polymer and aluminum. I almost fell into the lure of the gimmick. Why would you want it on the forend on a pump anyway? It gets slapped around hard. I finally ordered an aluminum 5-position, 270 deg. 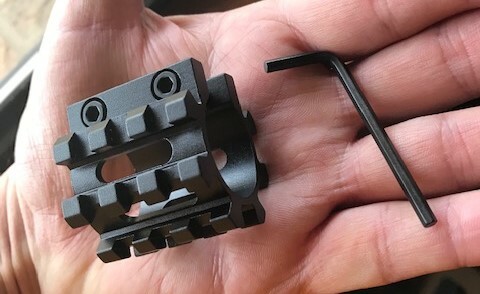 rail attachment that fits on the mag tube ($8). That's a much more acceptable accessory. It holds the item close in, and with positioning, you get less shadows. Mostly for fun, it's unobtrusive when not toying with it. An old Weaver ring fitted a cheap LED for show. Did take an old Stoeger SxS, cut the barrels to 18", attached a homemade leather sling, buttstock ammo holder and use military OO buckshot on close range cats and pigs. Lot's of fun at little cost.